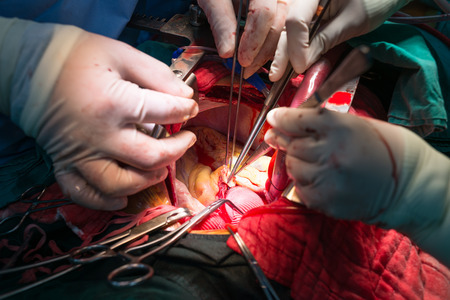 Malfunctions of the Lotus Valve System during transcatheter aortic valve replacement (TAVR) have prompted Boston Scientific to announce several recalls. Filing a Boston Scientific Lotus Valve lawsuit could be an option for individuals who suffered complications and injuries related to these safety issues. The attorneys at Bernstein Liebhard LLP are investigating injuries and deaths allegedly related to the Lotus Valve System. They are now providing free, no-obligation case reviews to individuals who may have been harmed by this product. To learn more about the options for filing a Lotus Valve System lawsuit, please contact our office by calling (888) 994-5118. Lotus Valve System: What’s the Problem? Boston Scientific’s Lotus Valve System is already approved for use in Europe. However, it continues to undergo clinical testing in the U.S. Despite the safety problems that have plagued the system, the company still anticipates a U.S. launch in mid-2018. TARV, also known as transcatheter aortic valve implantation (TAVI), is a minimally invasive procedure used to treat patients with aortic stenosis. During these procedures, a specialized stent is inserted into a small incision in the leg, and threaded through the femoral artery into the heart. Once in position, the new valve is deployed, pushing the original valve’s leaflets out of the way. Unlike traditional valve replacement surgery, there is no need to open the chest or stop the heart during TARV. November 2014: 278 Lotus Valve units were recalled following reports that the valve had become unlocked during release from the delivery system. The recalled units had been distributed in Finland, France, Germany, Great Britain, Italy, Norway, Spain, Sweden, and Switzerland. August 2016: Breakage issues affecting the Lotus Valve delivery system’s release mandrel prompt a second recall. According to Boston Scientific, the issue resulted in three deaths due to catastrophic vessel trauma. October 2016: A locking mechanism issue causes Boston Scientific to suspend implants of its next-generation Lotus Edge device in Europe. The company announced a fix for the issue in January 2017. February 2017: A global recall for all unused Lotus Valve Systems is announced following reports that a pin in the deployment tool might become disconnected before the doctor is ready to release the valve. This issue has been tied to one patient death. To learn if you are eligible to file a Boston Scientific Lotus Valve lawsuit, please contact our office by calling (888) 994-5118.